A list of newly approved studies and updates on old studies will be made available to all members on a regular basis and will be available on the homepage/ website. 2. The number of patients that they expect to accrue in that study. A copy of the approved protocol will then be provided to the investigator/institution. The investigator is then responsible for obtaining ERB approval from their respective institution. Failure to accrue less than 50% of patients claimed by the investigator/institution for three consecutive trials will automatically result in non availability of future ICON trials until accrual ability is re-demonstrated to the managing committee’s satisfaction. Patients can be registered with the Statistical Center up to three weeks prior to initiation of treatment. No registration may take place after a patient has been started on treatment. There will be no exceptions to the eligibility criteria except when an error is discovered in the protocol relating to the exception. In that case an amendment will be made to the eligibility criteria. Patients cannot be cancelled from a protocol once they enter, regardless of the circumstances surrounding that patient. They may however, withdraw from the study at any time, even prior to any treatment administration. The registering investigator must accept full responsibility for each patient’s treatment, monitoring and dose modifications as well as for providing adequate documentation of all treatment, toxicities, response and follow-up. It is to be emphasized that the registering investigator must take all measures to ensure appropriate follow-up for maintaining data quality. The registering investigator is also responsible for all quality assurance requirements and drug accountability record forms. The Ethics Review Board of the registering institution is responsible for performing the following functions i.e. initial and continuing review, consent form and adverse drug reaction review. The investigator or the Principal investigator (in case of institutional membership), is responsible for communicating all subsequent adverse event data to the Ethics Review Board. 1. Primarily Phase II and III studies in oncology. 2. Ancillary studies and biological studies will be undertaken as deemed necessary. This is an ICON member who is the primary advocate for an idea within the group. He proposes the study, is the primary force in developing the protocol and answering all medical and scientific questions relating to the study. Ordinarily different ICON members are encouraged to be the primary principal investigators for different ICON studies. Study principal investigators are required to submit a disclosure of any significant financial conflict of interest that they may have. They are also required to propose sources of funding and may approach the required sponsor directly or through the Disease Committee after appropriate approvals have been obtained (namely, Disease Committee Chair and ICON Convener. 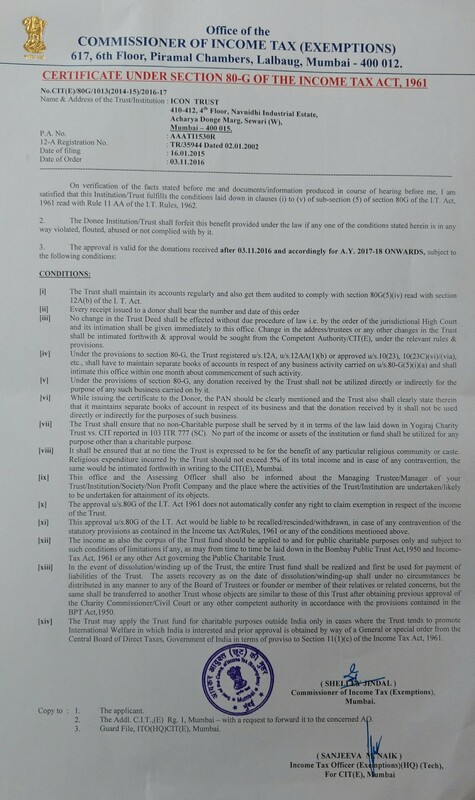 Please refer to `confidentiality agreement’). 1. A protocol developed by a principal investigator is submitted to the Disease Committee. The committee members are expected to review the protocol and offer comments within 4 weeks. If no comments are received within four weeks of submission of the draft protocol, it will be assumed that the concerned member accepts the proposal and has no concerns. 2. It will also be be sent to the Scientific Advisory Committee for comments. 3. Appropriate changes will be made to the protocol or queries explained and the final draft will be presented to the Disease Committee for approval. 4. It will then be presented to the managing committee for approval. 5. Once approved by the managing committee it can be offered to ICON members. Protocol principal investigators will be encouraged to try to obtain their own funding either from government funds, charitable trusts, pharmaceutical industry etc. The disease committee is expected to help the individual principal investigators in this Endeavour. ICON funds may also be used for funding a study. However, this requires a recommendation by the disease committee followed by approval of the managing committee. Only protocols with major scientific merit and presentable at pivotal international conferences (e.g. ASCO/ESMO/ ECCO/ Asia Pasific Conferences) will qualify. ICON and the pharmaceutical industry may enter into scientific liaisons for the purpose of conducting clinical investigations of new or established anti cancer agents or other cancer therapies, or for the collection of additional data and statistical analyses. These activities will be pursued after the ICON and the pharmaceutical firm enter into a mutually acceptable contract for the conduct of the trial. Such collaborations represent an opportunity by which scientific questions of interest to ICON and pharmaceutical firms may be answered by making maximum use of the resources of each organization. These contracts will be agreed to by the managing committee, disease committee and the pharmaceutical company. The purpose of quality control is to ensure that patients enrolled are eligible, properly stratified and treated and appropriate conclusions as regards response rates, survival, etc. drawn, in accordance with protocol guidelines. For this purpose all studies will be audited by a third party according to the needs of the protocol. The institutions/ investigators will be informed regarding Quality Assurance Report. Institutions and investigators found to have repeated violations or proven to have deliberately falsified data will automatically qualify for expulsion from the group. Prestudy Form- Verifies patient eligibility and stratification. All queries must be responded to by the site/investigator within 30 days. WHO Toxicity criteria will be used by ICON to maintain uniformity in reporting. A Data and Safety Monitoring Committee will be set up which will review all toxicity data. They will be responsible for early termination of study and release of interim results if considered appropriate. The composition of the Data and Safety Monitoring Committee will include at least: 4 national ICON managing committee members, 2 non-ICON members, a statistician, patient advocate or a cancer related NGO all of who will be nominated by the managing committee. All members have to disclose any potential conflict of interest. ICON will provide the Principal Investigator/ individual investigator as the case may be with reports of all adverse events periodically. It is his responsibility to inform the institutional Ethics Review Board of all serious adverse events within 1 week of their occurrence. All safety data emerging from the trial will also be available to the Drug Controller of India for reviewing. Such reporting helps to improve patient care and scientific communication. It is the responsibility of the reviewers to review the manuscript and return it to the study coordinator within two weeks with their comments. In order to avoid conflict the study coordinator, or the senior most author will respond to the comments. Copies of all such communication should be provided to the ICON Convener. 2. The investigator/principal investigator of contributing institutions will be listed as co-authors. Co-authors must have enrolled at least 10% of total patients. 3. In the event of the Principal Investigator of an institution not being the investigator with the maximum enrolment it becomes his/her responsibility to re-assign co-authorship to that individual in the institution who has enrolled the maximum number of patients. This must be done by informing the primary author at the time of study conclusion itself. Failure to do so will result in exclusion from all future ICON publications. 4. In the event that a single institution enrols a disproportionately large number of patients (at least 20% of total patients evaluable) more than 1 co-authorship is to be assigned to that particular institution. The guideline for awarding of co-authorship from that institution will be 2 co-authors for >20% of evaluable patients, 3 co-authors for >30%, 4 co-authors for >40% and so on. The sequence of authorship will be based on the number of patients accrued with a maximum limit of ten co-authors. 5. The disease committee chair will be the senior author (last name). 6. The biostatistician (if any) will be the second last author. The manuscript after appropriate reviews and debate may then be submitted for publication by the study co-ordinator. No other person in ICON with access to data will be permitted to submit the data for publication. All abstracts must also follow the same principle for submission for publication/presentation. It is ICON requirement that any potential conflict of interest be disclosed at the time of membership and updated on an annual basis. This also needs to be updated at the time of protocol draft submission for approval. This policy is applicable to all members of the ICON as well as non-members who are supporting ICON activities as regards protocol development and reporting study results.